Brandon Bird's Brandon Bird-O-Rama! : Pre-order now at Amazon and Barnes and Noble! In stores 9/1! Pre-order now at Amazon and Barnes and Noble! In stores 9/1! 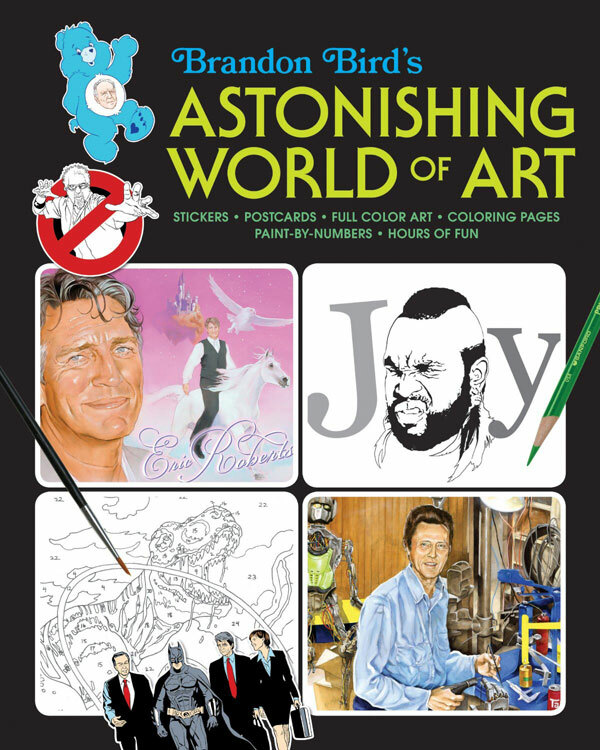 Brandon Bird’s Astonishing World of Art will be in book stores everywhere September 1st, but you can pre-order now from Amazon or Barnes and Noble and get it a little early (both listings are using the old “Amazing” title, but trust me, it’s “Astonishing”)! Most art books only do one thing: they sit there, and you look at them. This one has cut-outs, activities, pull-out postcards, a sheet of stickers, a slick insert of painting reproductions, and a bajillion pages (well, 80 or so) for you to color. I hope you’ll like it and tell your friends! If you’d like info on planning a signing event, or know of a cool store in your town that should carry it, shoot me an e-mail, brandonbird@gmail.com.